She’s new, she’s grand, she’s green, and she’s registered as a yacht. 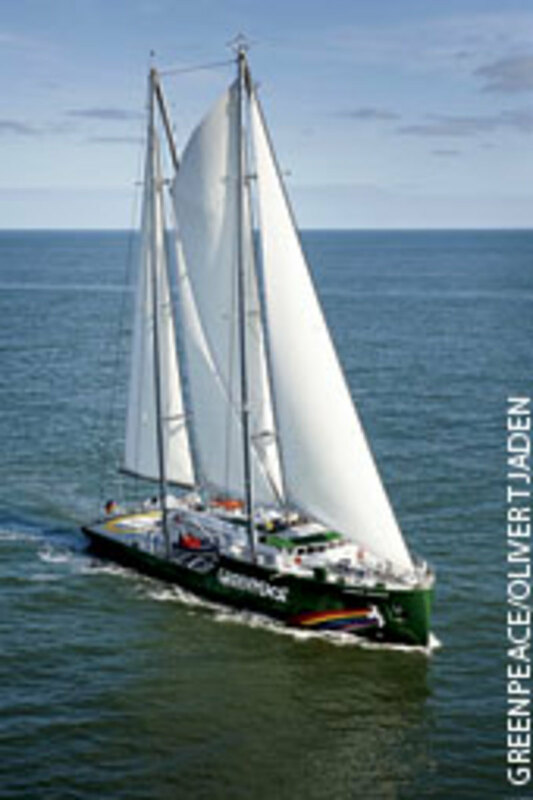 She even has a rainbow and a dove painted on her bow, which makes her the third Rainbow Warrior, the latest flagship of Greenpeace. 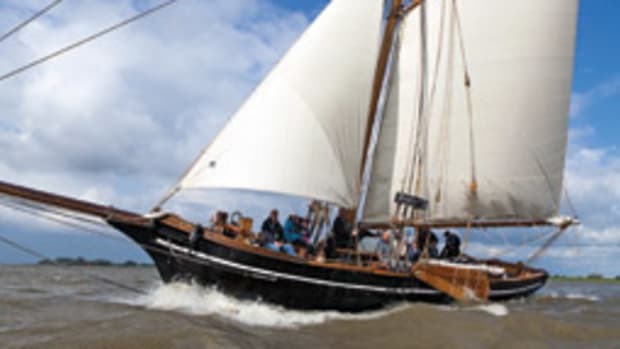 Designed by the Dutch naval architecture firm Dijkstra & Partners and home-ported in the Netherlands, this 190-foot two-master will carry the Greenpeace message of environmental activism to all points of the compass. The christening ceremony Oct. 14 in the small town of Berne in northern Germany commemorated the 40th anniversary of Greenpeace and marked the beginning of a new era, which will bring new challenges but no change in the organization’s core values. By default, the ship’s missions against nuclear proliferation, climate change, air and water pollution, overfishing, poaching, illegal shark finning and whaling, among others, are pitting her squarely against powerful political and corporate interests. In these conflicts Greenpeace wants to hold the moral high ground by practicing what it preaches. Therefore, the new Rainbow Warrior is not just a campaign vessel, but a lab for sustainable practices and eco-friendly technologies that help reduce environmental impact. As I watched the protests of Occupy Wall Street in the United States and Europe, I couldn’t help remembering the early days of Greenpeace and how non-violent resistance against nuclear testing helped form the public image of this organization, which says it eschews financial contributions from governments and corporations. The new Rainbow Warrior has big shoes to fill if she’s to live up to the reputation of her predecessors. They include the tired old fishing trawler Phyllis McCormack, which left Vancouver, British Columbia, in 1971, carrying a handful of enthusiastic activists who wanted to “bear witness” to U.S. underground nuclear testing at Amchitka, a tiny island off Alaska. 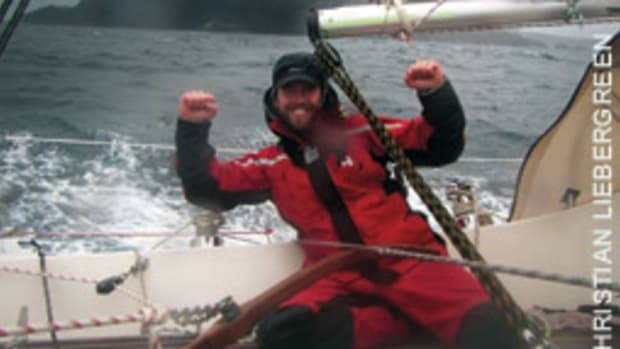 And the 38-foot ketch Vega, which was inspired by Colin Archer’s lifeboats and carried David McTaggart and some friends to the Mururoa atoll in 1972, where they doggedly held out to protest French nuclear tests. They were harassed and rammed by the French navy and beaten up by a goon squad that boarded their little boat. 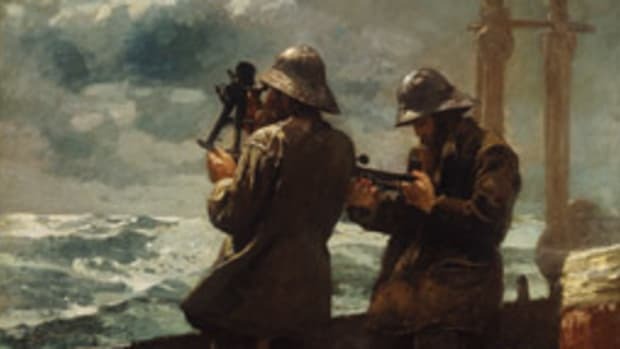 They were arrested and put through the wringer, but they managed to smuggle critical images off the boat past their tormentors (don’t ask how) to document their ordeal for the press. The story went viral long before social media and put governments on the spot as it brought the topic into the public’s consciousness. Like the Phyllis McCormack, the Vega couldn’t stop nuclear testing. But both ships’ stories made the world aware of the dangers and the practices surrounding nuclear weapons, and in doing so they helped put Greenpeace on the global map. The organization learned the lessons from the first scuffle at Mururoa better than the French did, and that became evident on July 10, 1985. That night, a commando associated with the French foreign intelligence service sank the first Rainbow Warrior in the port of Auckland, New Zealand, with two limpet mines, killing a photographer who was trapped inside. The ship was to lead another protest against nuke tests in Mururoa, and the French thought they had to prevent it. Code-named Opération Satanique, the undertaking succeeded in sinking the ship but not the rainbow or Greenpeace. It was déjà vu all over again. By compromising a Greenpeace vessel in violation of the law (again), the French played into the hands of Greenpeace (again), which by now had a sound campaign strategy and a firm grasp on playing the victim’s role effectively. By positioning itself as a platform for individuals to unite against and resist mighty opposition without physical violence, it took a page from Mahatma Gandhi’s playbook, which resonated with a large audience, who opened their hearts and wallets. In the years that followed, Greenpeace grew into the mother of environmental activist groups. Today the organization counts nearly 3 million members worldwide, and in 2010 it posted income of about 250 million euros (about $316 million). In the United States, Greenpeace has nearly 250,000 members who contributed more than $22 million. Unlike her predecessors, which were converted fishing trawlers, the new Rainbow Warrior was built explicitly for environmental campaigns and carries a $30 million price tag that was covered entirely by contributions and donations, according to Greenpeace. 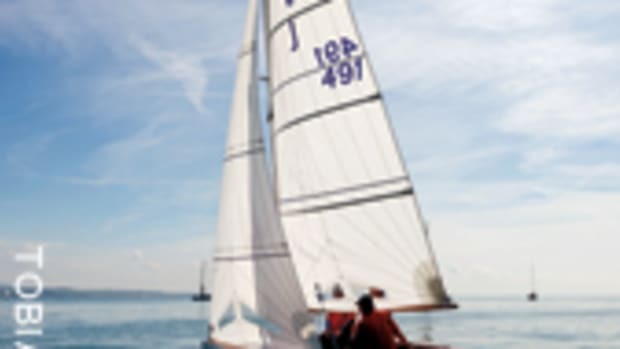 Although it might look like a trawler to the untrained eye, it is a real sailing vessel. It’s also the first ship that the organization completely commissioned. Dijkstra & Partners, which typically designs megayachts for a jet-set clientele, tried to implement the demands Greenpeace made to customize the ship for campaigns that put saving fish above serving caviar. The steel hull was built in Danzig, Poland, and the outfitting and finish was done at the Fassmer shipyard near Bremen, Germany. 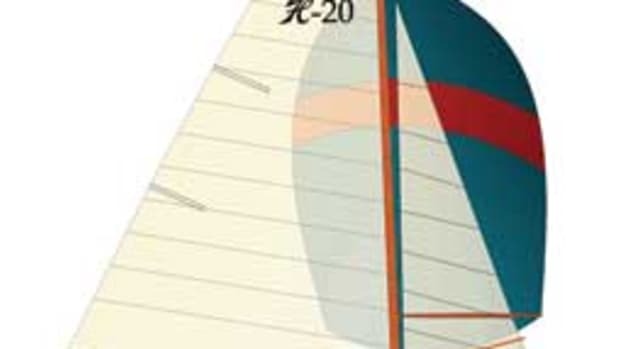 Her A-frame masts carry 13,500 square feet of sail, which indicates that sailing is a serious part of the propulsion concept, not just a fig leaf. All else failing, the Tier II Caterpillar main diesel will be summoned to action, which would get her up to 15 knots. 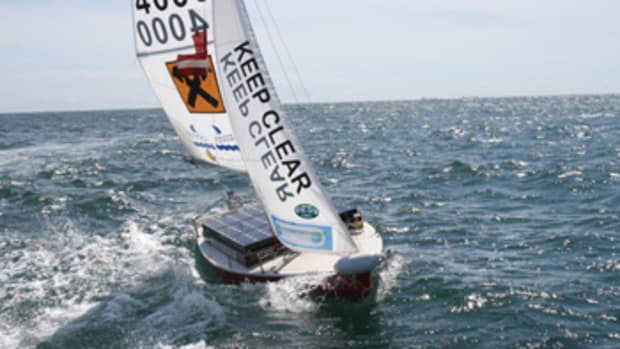 Greenpeace estimates the cruising range at 4,500 nautical miles. In addition, the 680-ton ship is equipped with an electrical power management system for the optimized distribution of electrical loads. The unusual A-frame masts were chosen because they are strong and accommodate a wide range of communications gear. Stewart also points out that they help keep operations simple for a shorthanded crew. And if a chopper is about to take off or land on deck, it’s easy to remove the backstays to clear airspace. He thinks the practical merits of this type of rig might make it a more common sight on sailing vessels in the future. “The ship doesn’t run on toxic bunker oil like commercial ships,” says Christian Bussau, a German biologist who’s in charge of special projects at Greenpeace. “We filter our exhaust, and we recycle black and gray water so we don’t discharge any dirty fluids into the ocean.” In addition, PVC and tropical woods such as teak and mahogany were eliminated. 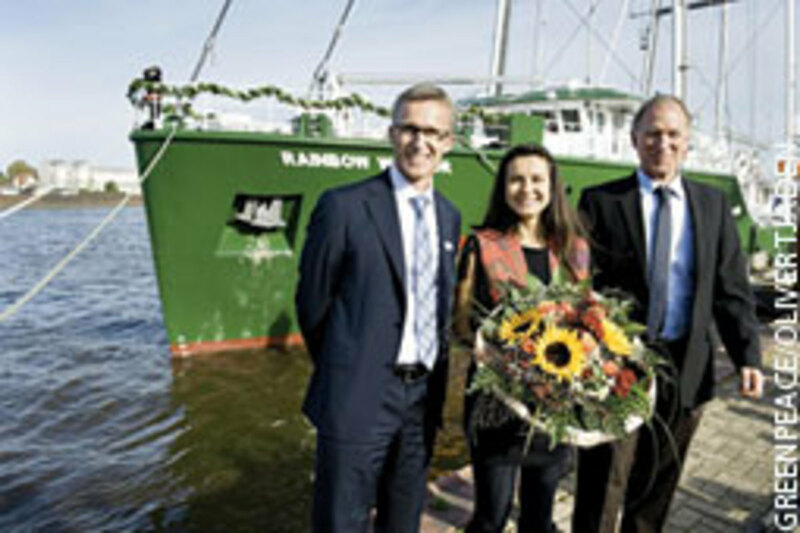 On her first voyage after sea trials, the Rainbow Warrior docked in Hamburg, Germany, paying the first visit of her tour through Europe to a country that takes pride in implementing common-sense environmental policies. Germany nuked nuclear power in the wake of the Fukushima disaster — the last plant is scheduled to go off-grid in 2022 — and continues to accelerate the development of renewable energy sources, which now provide 17 percent of the electricity the country consumes, according to a 2010 government report. And that’s right up the Greenpeace alley. More than 3,000 supporters tripped through the new flagship during her stopover in Hamburg, nosing around in the engine compartment, the radio room, on the bridge and in the “campaign office,” which is set up with videoconferencing, broadband Internet, video editing and a loud-hailing system that will help take environmental evildoers to task. 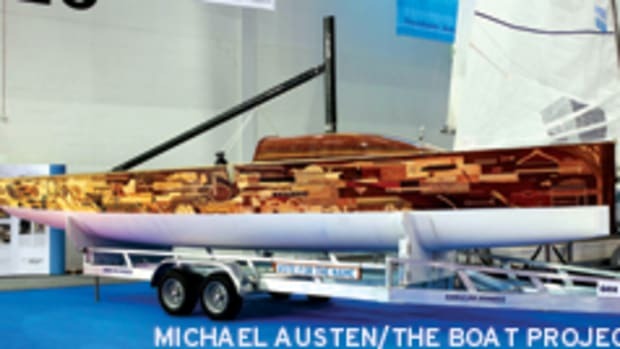 And this unusual “yacht” with her green hull and her green heart aims to show the way.